Though a certain tabular iceberg has recently gained a bit of fame after its photo spread through social media like wildfire, it turns out that it wasn't the only oddly-shaped iceberg spotted by researchers earlier this month. The new image, which was shared by NASA on Tuesday, shows the famous sharp-cornered iceberg appearing by the engine of Harbeck's plan as its twin (let's call her tabular B) takes center stage. The A-68 iceberg can also been seen in the distance. 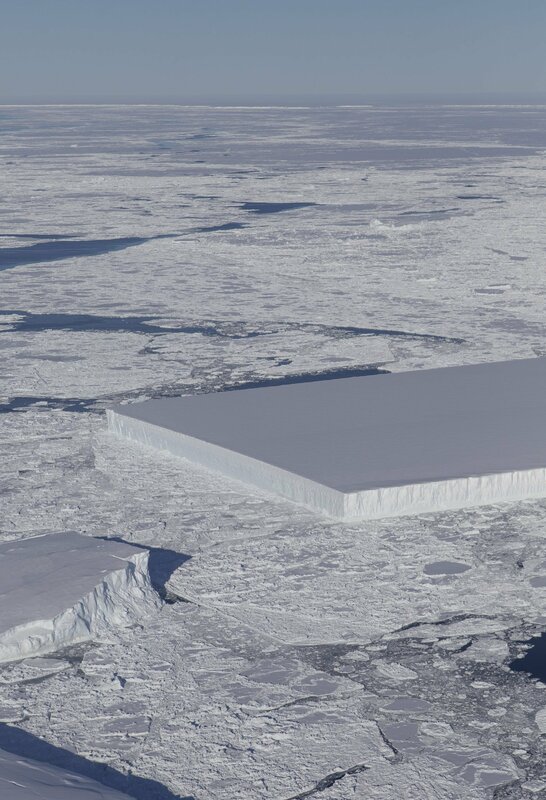 Antarctic iceberg snapped by NASA. "I thought it was pretty interesting; I often see icebergs with relatively straight edges, but I've not really seen one before with two corners at such right angles like this one had," Harbeck said. "I was actually more interested in capturing the A-68 iceberg that we were about to fly over, but I thought this rectangular iceberg was visually interesting and fairly photogenic, so on a lark, I just took a couple photos." Operation IceBridge is the longest-running aerial survey of polar ice, according to NASA. The program is part of an overall effort to document changes in ice sheets. Harbeck's October 16 flight is part of a five-week long deployment that is scheduled to end November 18.